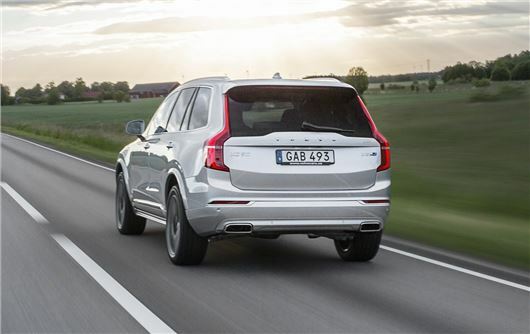 Volvo has launched Polestar upgrades for new XC90. It's the first time Polestar - Volvo's performance arm - has worked on Volvo's big SUV. Called Polestar Performance Optimisation, the upgrades increase the power and torque figures for both the D5 version and the T6 petrol Drive-E model. Adding the upgrades also makes the accelerator more responsive along with speeding up the automatic gear changes while preventing upshifts when cornering at speed. Engine power for the D5 is increased to 233PS with 500Nm of torque - up from 225PS and 470Nm. According to Volvo, the increase in power is especially noticeable at medium revs. The petrol T6 model has power boosted to 334PS and 440NM - up by 14PS and 40Nm. The upgrade is priced at £835 including VAT and fitting. The work can be carried out at any authorised Volvo dealer, and should take about 30 minutes to complete. Volvo says the Polestar upgrades do not affect the certified emissions and fuel consumption figures, service intervals or Volvo warranty cover.